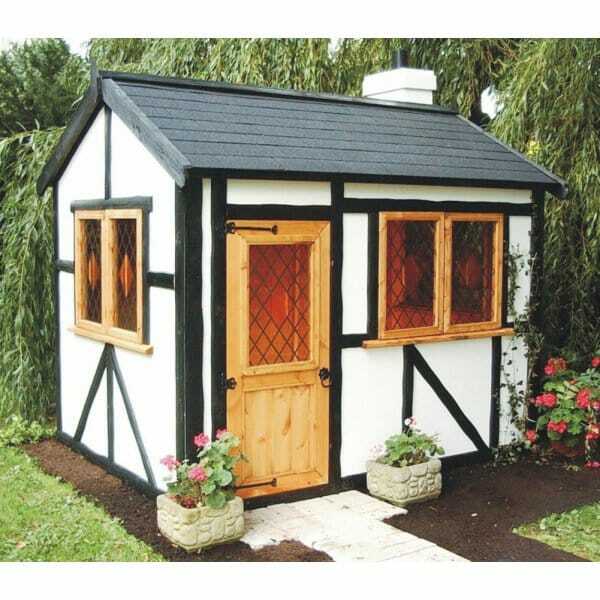 A1 Tudor Lodge Playhouse: The A1 Tudor Lodge Playhouse is a quaint and unusual playhouse for your garden. With the appearance of a fairytale cottage, the A1 Tudor Lodge Playhouse is made from top quality timber and painted in perfect detail. The white panels are supplied ready painted in white with black timber trims and even a miniature chimney to really make the lodge come to life. The leaded effect window are made from perspex for extra safety when playing, this little lodge will be the centrepiece of play for your children for many years, and even then you will want to keep it as a feature item in your garden.